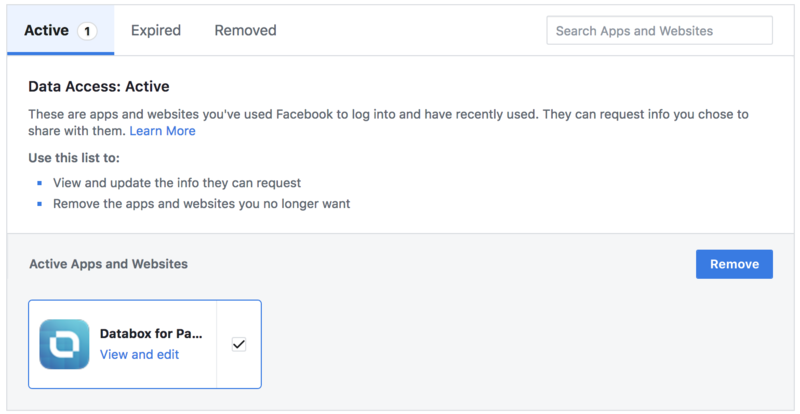 When connecting Facebook Pages to Databox you may not see all of the Pages you are Admin for. In these situations there's a couple steps you can take to troubleshoot the issue and get all Pages to display. 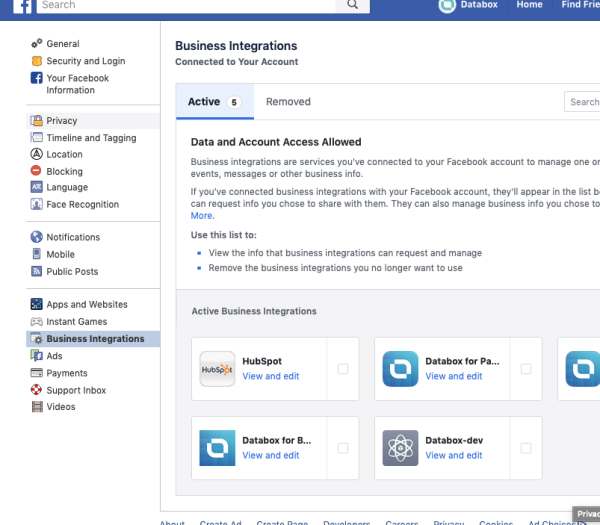 Remove the Databox for Pages App from Facebook. Follow this link to access the Apps and Website management. Navigate to Data Manager > Sources and select +New connection. Search for Facebook and click Connect. During the authorization process you'll see an option to Choose what you allow. Select this option to confirm that the Facebook Page you want to connect is select and hit OK.
Next you'll be able to select the Facebook Page you want to connect. The available options will be based on the Facebook Pages you granted access on the previous step.